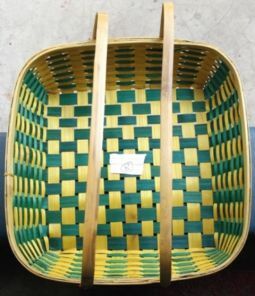 This is Hand made Bamboo Gift Decoration Basket. Made from Fully Natural Bamboo Sliver. you can use as a Gift Decoration, Flower Decoration, Fruits Decoration or any type Gift Product Decoration in your Home, Festival, etc. Size 12 x 12 inch with Handel.